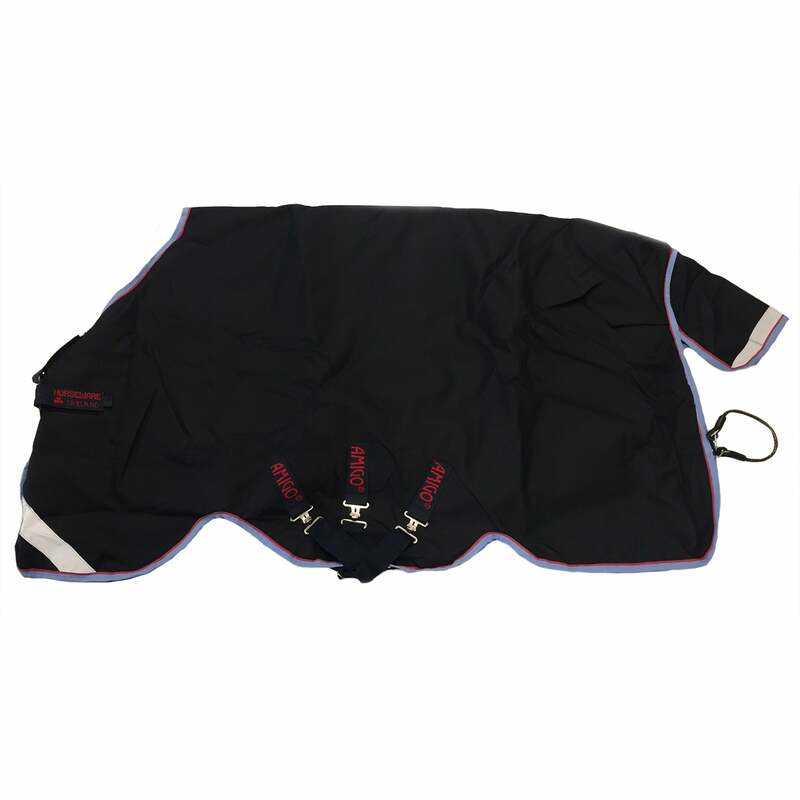 The Amigo Bravo 12 Original 150g Disc Front Turnout Rug has a 150g fibrefill for warmth and a strong, waterproof and breathable 1200 denier outer. The front disc closure system is lightweight and flexible, ergonomically designed for comfort and and made in a super strong polypropylene blends designed to withstand the weight of a horse. The Amigo Bravo 12 original features front leg arches, cross surcingles. reflective strips, hood and liner loops to increase warmth rating if desired.